SANS-10400-The application of the National Building Regulations is available for purchase from offices nationwide (See the contact numbers and addresses below) or from the SABS online website store. I’m interested in using containers for commercial use, such as a restuarant/bar/lounge. Is there any special legislation or regulations that I would need to comply with, other than the agrément certificate? You need an Agrement Certificate that specifies how it is used. We’re wanting to build a container home for a holiday home. What do we need to do to comply with legislation for this? You need to comply with all the relevant building regulations, and because it will be a non-standard house you will also need an agrement certificate. This is covered in Part A of the NBR. I am looking to place 2 converted 6×2.5m shipping containers containers on my property as cottages. fully self contained. I would just like to know what the building regulations are for shipping container housing, foundations relating to them and do I have to have a permanent structure on site in order to set up these container houses? Colin you will need to follow the National Building Regulations as far as possible, and also have an agrément certificate that confirms fitness-for-purpose of a non-standardized product, material or component or the acceptability of the related non-standardized design and the conditions pertaining thereto (or both) issued by the Board of Agrément South Africa. Part A of SANS 10400 covers this. Where a local authority is not satisfied as to the adequacy or safety in use of any construction system, method, material, article or product which is proposed to be used in the erection of any building the local authority may require a test report or evaluation certificate in respect thereof. (e) the details of reinforcement provided, including its strength and composition. (b) Any documentation contemplated in paragraph (a) shall be accompanied by a certificate signed by an approved competent person in which he shall certify that any apparatus to be installed has been designed to provide a standard of ventilation which complies with these Regulations. the adequacy or safety of such system, method, material, article or product covered by such report or certificate shall be deemed to satisfy any relevant requirement for adequacy or safety prescribed in these Regulations, to the extent and under the conditions set out in such report or certificate. (c) A report or certificate contemplated in paragraph (a), issued on or after the date of coming into operation of these Regulations, shall contain the number of the Regulation which prescribes such requirement. The calling for test reports or Agrément certificates involves additional expenses and it is therefore important that this sort of information should only be required where it is really necessary and that, where it is required, it has been established that it will in fact give sufficient information to enable the local authority to decide whether or not to approve an application. In this connection it should always be remembered that where doubt exists, it is the building owner (or the designer appointed by him) who is responsible for proving to the satisfaction of the local authority that an application complies with the Regulations. It is not the local authority’s responsibility to prove that it does not comply. Agrément certificates represent an entirely different approach. The original intent of the Agrément certificate was to present as complete an assessment as possible of any new building system, building component or building material, in addition to indicating whether it was considered suitable for use. The certificates also state which of the National Building Regulations, if any, the system or component may be deemed to satisfy. It should be noted that although test reports may be adequate to supply the information that a local authority might need to assess an application, the Agrément certificate serves an additional, very important, purpose in that it provides more information of a type which might be useful to anyone buying or promoting a new building system or building component. In addition, the Agrément certification process requires that certificate-holders have an acceptable and functioning quality management system in place, thereby providing assurance of consistency of quality of the end product. Hi Colin, have you made any progress with the agrément certificate and or container home building? We have been contacted by a charitable organisation in Cape town to provide residential housing for underpriviledged people in the community. We are specialists in building dome houses and need to know what type of legislation applies to this type of building in South Africa nad the various processes involved with planning applications. 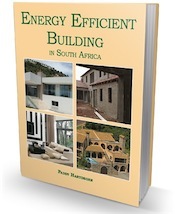 Martin if you are specialists in building dome houses, you ought to be familiar with all the legislation that applies to building in South Africa. That is really really scary if you aren’t! For starters you will need an “agrément certificate that confirms fitness-for-purpose of a non-standardized product, material or component or the acceptability of the related non-standardized design and the conditions pertaining thereto (or both)issued by the Board of Agrément South Africa”. You will also have to have all the relevant “competent persons” on board. I suggest your company invests in a full copy of the National Building Regulations deemed to satisfy rules viz SANS 10400, which is available from any office of the SABS or online. You can get info about agrément certificates in Part A. You have come to the wrong place Nzwana. h, i like how you give informative informaton, can i ask though. when calculation a slope,gradient, what formular is it they use, as i see 1:12 and i dont get it? Oed, a 1 in 12 slope is almost 5 degrees. thanx a lot. i appreciate it so much. Hi oed, To answer your question mathematically it is a gradient of 1-in-12. If you are measuring this in the way that engineers do it, along a length, then the 1 is the the opposite side to the angle and the 12 is the hypotenuse of the right angled triangle; along the length. So the sine of the angle is 1/12 = 0.08333 From tables or from Excel function asin(0.08333), we get an angle of 4.77 degrees; almost 5 degrees. I would like to know if it is at any possible to order a hard copy version of the SANS reg from you. I assume you will have it in a bound file format for people (architects and engineers and builders) to order. It’s just always easier to page through and highlite sections in a hard copy as it is with a pdf file on your pc. I will really appreciate your help with this matter. Maritza, There is no such things as a “hard copy” version of the SANS. They are all sold by the SABS and are in paper form or as a pdf. If you want to have them bound you will have to do this yourself. There are a few other companies that also sell Standards, but they buy them from the SABS (in bulk, for a discount) and sell them on. Unfortunately they are not free. Tiaan, a number of regulations will apply, including Part H, Foundations; Part J, Floors; Part K, Walls; and Part L, Roofs. All the other regulations relating to drainage, plumbing, electrics, glazing etc will apply as well. Probably your starting point should be foundations, because if these are not sufficient for a double storey then you could have a major problem. There is no regulation specific to additions. i am overseeing the company building, do i need to be familiar with the national building regulations. I take it that you are overseeing the company that has been contracted to build your house. So long as the company is registered with the NHBRC and has paid the required fees then they are the ones that have to be familiar with the Building Regulations. But it would be a good idea for you to familiarize yourself with the regulations if you are “overseeing” the building, don’t forget though that they are the registered qualified people and not you. Not as far as I know for private dwellings. If you are in a housing complex or an estate there will normally be rules and regulations set down by the body corporate that will say where you can put dishes and aerials. Regulations please.Printed copy vs. PDF please. If you go to our “SABS Contact” page you will find all the addresses and contact details including the online store where you can get the quote you need or purchase the full set of the National Building Regulations. I am not sure which one you mean, but I will give you all the links. The NHBRC publishes the “Home Building Manual” Parts 1, 2 & 3. These manuals are only available from the NHBRC offices direct. You can phone them on their toll-free number: 0800 200 824 or you can find the regional offices on the NHBRC Contacts page. The National Building Regulations are published by the SABS and can be purchased from them directly, see our SABS Contact page. We also have our own publication called Owner Building in South Africa and can click here to buy a copy online.